I am a huge fan of Nandos, a casual dining food chain with a Mozambican / Portuguese theme. 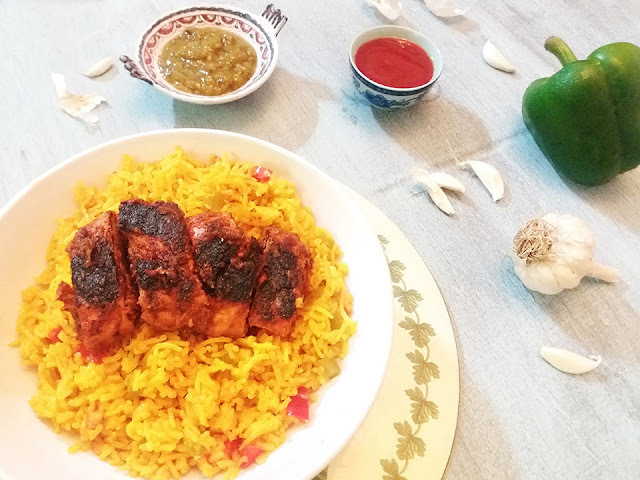 Their Peri Peri Chicken, Peri Peri Bites and the spicy rice are my favorite. Portuguese food is known for their use of piri piri red chillis, black pepper as well as olive oil. I feel that Portuguese, Spanish as well as Mexicans have similar palate and quite acceptable amongst the Pakistanis, though I always find their food a little healthier. When I decided to make some Peri Peri Chicken I found many recipes on the internet. 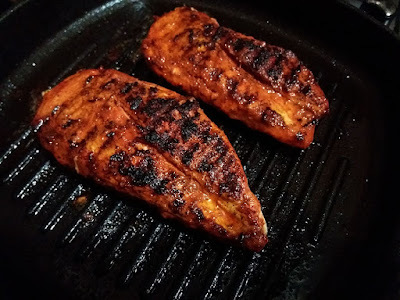 I read through several, but decided to recreate my favorite Peri Peri Chicken with my own understanding of flavors, rather than anyone else's. I didn't want the flavors to be identical either. If I preferred that I can easily just buy Nando's sauces. 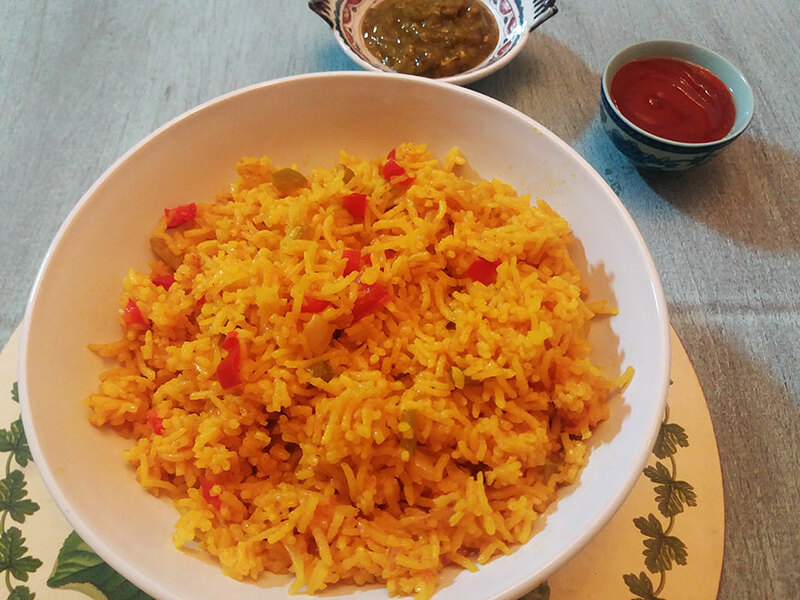 Along with the chicken, I made some Mexican spicy rice as a sideline, quite similar to the spicy rice they serve at Nandos. 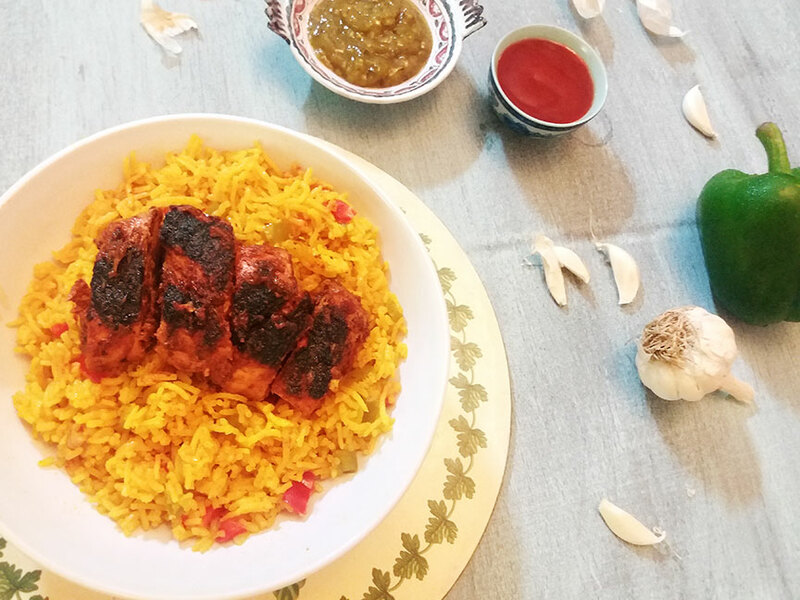 I broke down this recipe into three parts so it is easier for you to understand, starting with the marinade, followed by the chicken and then the rice. Lets get cooking! This is a very important part of the recipe becuase this is what will add flavour to your wholsome, spicy chicken. Add all the ingredients in a processor and purree. Set aside. This chicken can be used in so many different ways. You can use it in a sandwich, in wraps, with rice or as is. Add diagonal, light slits on the chicken fillet so the marinade absorbs in better. Rub the peri peri marinade on the fillet, pour the remaining as well over the chicken and refrigerate overnight. 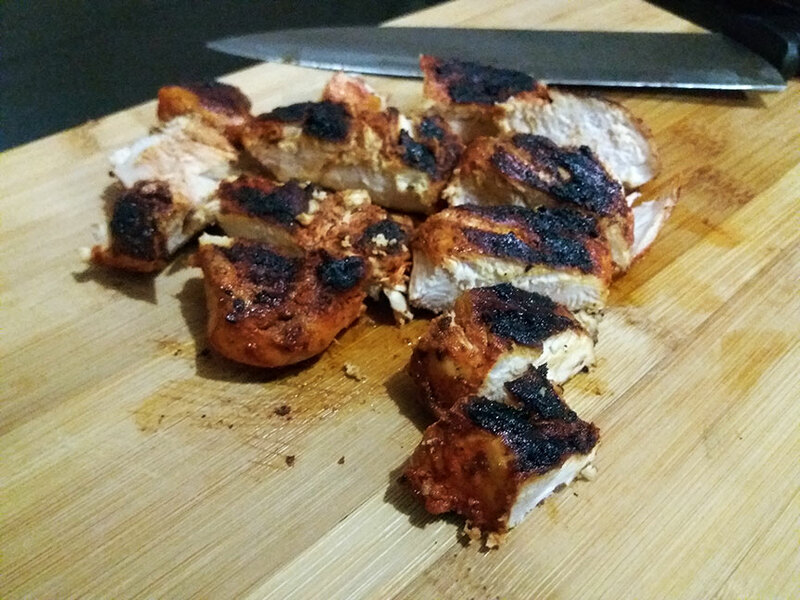 Make sure that when you are grilling the chicken the next day you dont throw away the marinade. To make the chicken, heat up a grill pan (or an actual grill if you are lucky enough to have one!) on medium low heat. Sprinkle with olive oil and then after 5 minutes place the fillets on the grill. Cook each fillet for 30 minutes while flipping occassionally to make sure its cooked through on both sides. 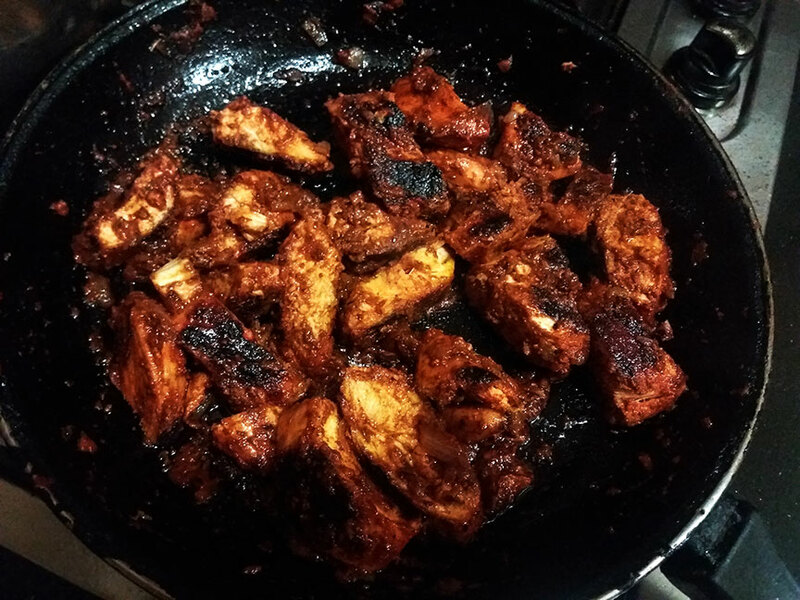 The blackening of chicken is fine, it is actually intentional so dont worry about it. After the chicken is grilled, let it cool for a bit and then slice it into strips and set aside. Take a pan and add some olive oil. Keeping the heat on medium, add chopped onions and saute till light brown then add the leftover marinade with very little water. When the sauce thickens add the chicken strips and toss it in the sauce. Serves on top of Mexican rice or eat as you please. Serves 4 (unless you want to stuff it). As per my mother, this rice can be consumed with almost anything. Peri Peri chicken, lentil gravy, even seekh kebabs. You can make your own combo. Heat a skillet and add some oil. Add chopped onions and saute till light in color. Add the chopped red bell pepper and green capsicum, Saute and cook for 5 minutes. Add tomato puree, turmeric, chilli powder, and salt and mix. Cook for 1 to 3 minutes. Drain the rice and add to the skillet. Fold in the content properly and cook for 5 minute. Add some water, enough to drown the rice. Bring to boil and add the stock cube. After the water is almost evaporated turn the heat to low and cover the skillet till rice is cooked (estimated 5 to 10 minutes). It should be cooked till it's fluffy not sticky. I hope you enjoy this recipe. 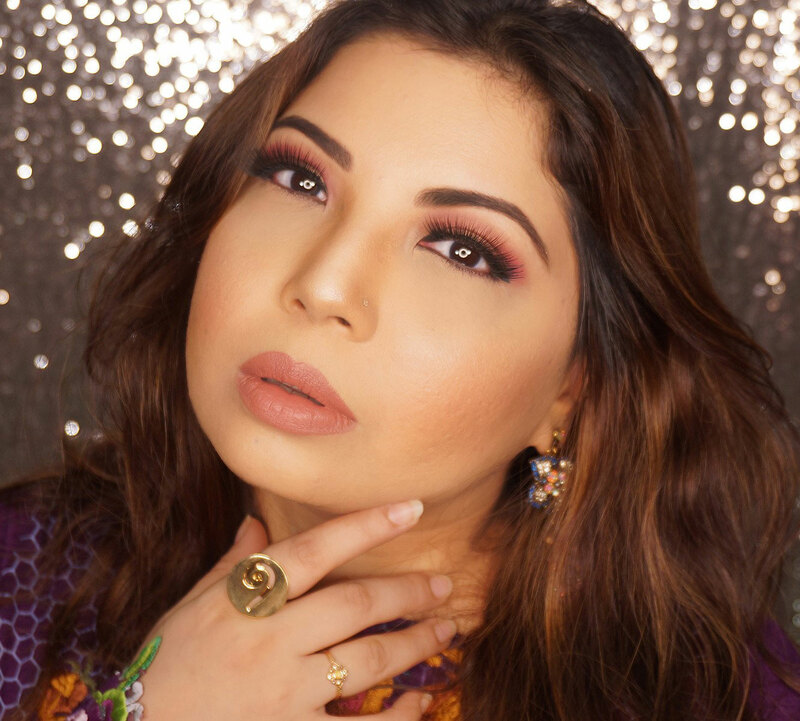 I would love your feedback as well if you try it so dont forget to comment below. This looks delicious, I am definitely trying this recipe ,thanks for sharing. I will definitely try it. It looks delicious.